We are glad to launch League of Angels II S28-Iron Bird at 3:00 (EDT) on April 8, 2019. We will launch various activities waiting for your participation. Abundant rewards have been prepared for you. We also prepared a variety of activities. Join us now for more surprises and friends! 1. Sign up and create a character in the game. 2. 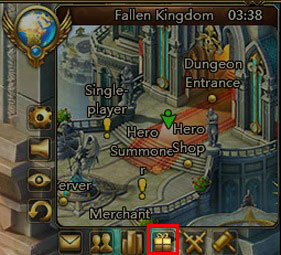 Click the Event icon in the upper right corner of the screen. 1. Each account can claim one activation code in one server.